Real Time Data Streams: What’s in it for Me? The emergence of the Internet of Things (IoT) along with continued growth of web and mobile applications presents organizations with a rich set of new and fast moving data that can yield enormous business value when effectively harnessed. Leading data driven organizations are moving beyond environments that require extensive manual coding and present reliability challenges at scale, to self-service and intelligent streaming solutions based on open source projects and modern software engineering. 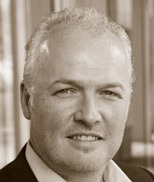 Oliver Ratzesberger is President of Teradata Labs, Teradata's innovation engine. He provides visionary direction for all research, development and sales support activities related to Teradata integrated data warehousing, big data analytics, and associated solutions. He oversees a talented pool of more than 1,400 technologists located in Silicon Valley, Southern California, Toronto, and other global locations. As President of Teradata Labs, he reports to Hermann Wimmer, Co-President, Teradata.